25 January 2019 (Toronto, ON) - Introducing Deutsche Grammophon’s new project 12 – a 12-track, multi-artist collection from today’s innovative and creative musicians. The brand-new tracks will be released one per month throughout 2019 and have been specially chosen both to represent different contemporary classical genres and to suit the mood of the season. 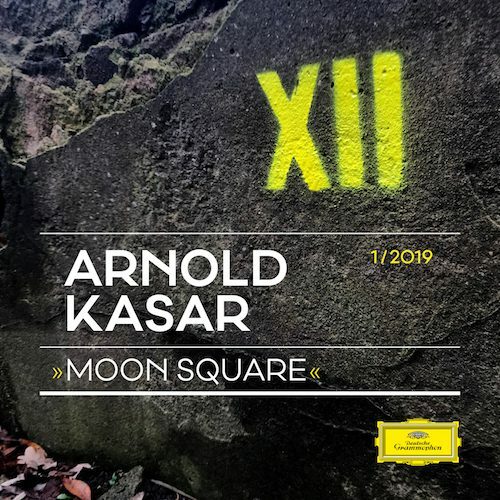 12 is launched today with the release of “Moon Square” by Berlin-based pianist, composer and producer Arnold Kasar. Melancholic but with a glimmer of optimism – this is the perfect choice for the dark days of January. Listen to “Moon Square” HERE. Kasar released his DG debut album Einfluss, a unique collaboration with Krautrock legend Hans-Joachim Roedelius, in 2017. Famed for challenging the accepted boundaries of classical and electronic music – Kasar is always restless and in search of new sounds.